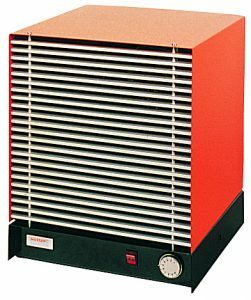 Vulcanic industrial fan heaters are designed to heat recycled air in all locations (workshops, warehouses, halls, stores, etc. ), up to 67 kW, 400 V 3-phase. Maximum temperature of use: 35 to 45°C depending on the model. 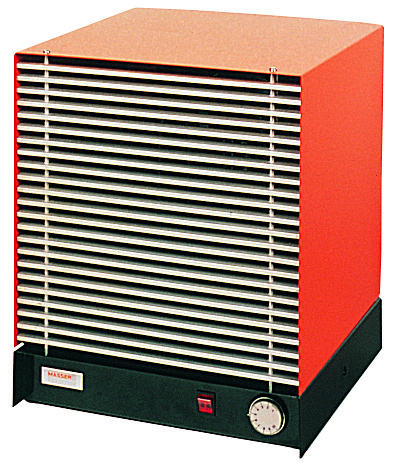 Vulcanic industrial fan heaters are constructed from tubular heating elements or finned tubular heating elements mounted inside a protected steel case. They are equipped with a fan unit enabling the air to be recycled. The temperature is controlled by a remote or integrated thermostat. Vulcanic offers a wide range of stand-alone, portable or wall-mounted products, with a protection index of IP33 to IP55. 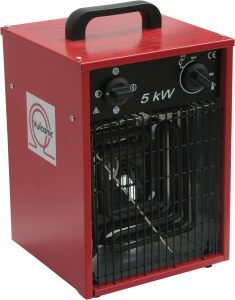 High power industrial fan heaters (greater than 18kW) must be operated from a separate power supply and control unit. Vulcanic industrial fan heaters are designed and manufactured either as part of our standard range or as a customised solution (power, voltage, material, etc. ).